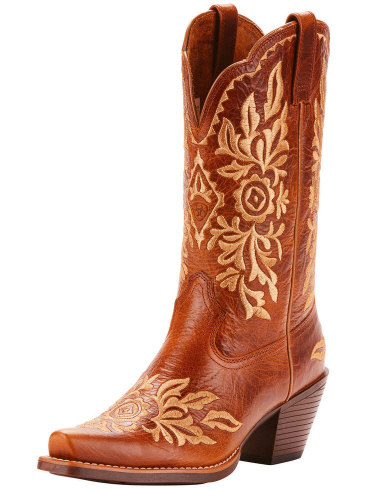 Look and feel great in these Ariat Women's Harper Full-Grain Leather Western Boots. 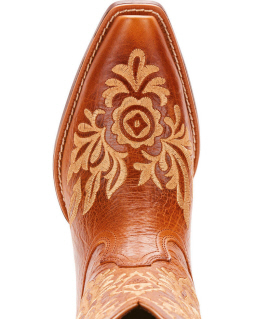 These western boots have a snip toe and a stylish double rose scallop that caps off the 11" shaft. These boots are full of comfort and support features. 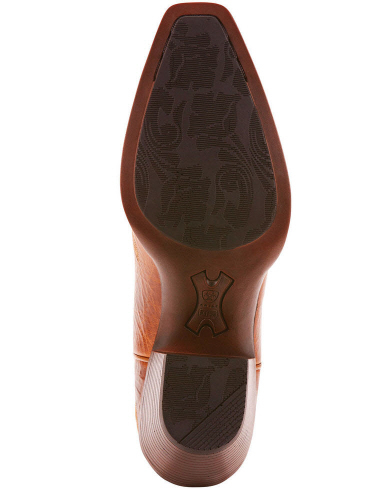 The Bantam-Weight outsole provides maximum wear resistance and flexibility. 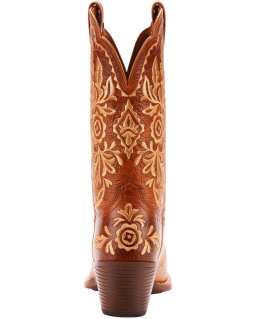 The Ariat ATS footbed will keep you stable and comfortable. 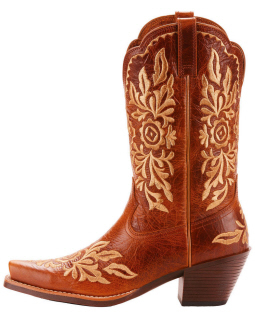 These western boots are finished with a 2 1/2" fashion heel. Turn heads in these chic Ariat boots.